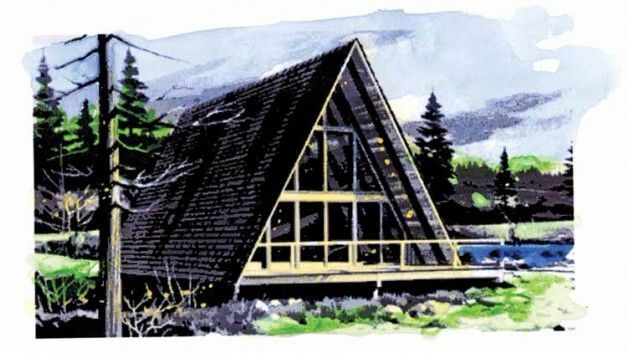 Thanks to their unique design, A-frames have an undeniable charm that reminds many of us of our favorite vacation homes. 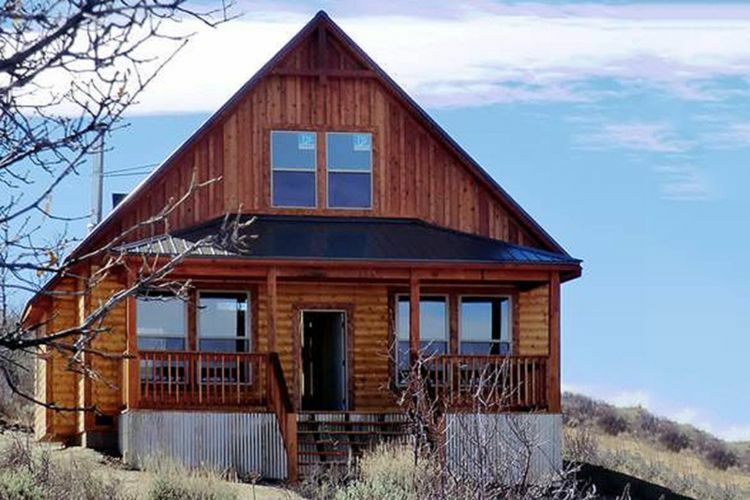 However, this style of house is actually perfectly suited to year-round living as well. 1. 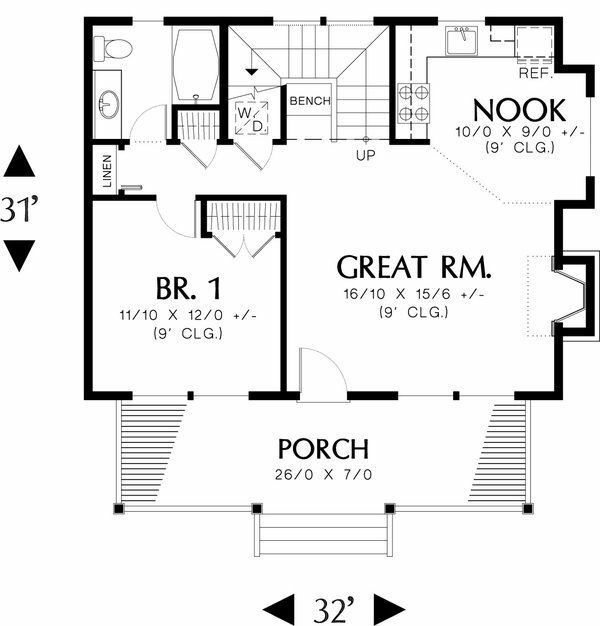 Two-bedroom Craftsman-inspired home from Floorplans. 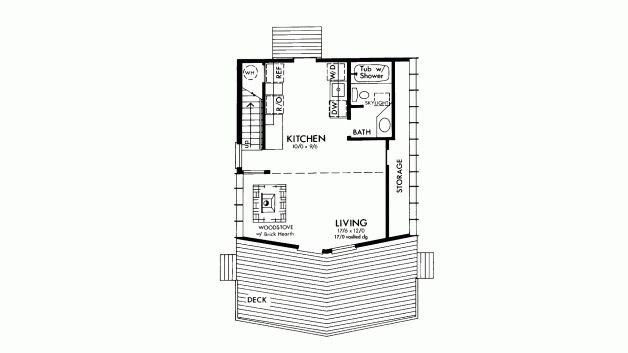 This home from Floorplans comes in at a fairly spacious 970 square feet (90 square meters), and it offers deck space at both the front and the back. The living room takes advantage of the large windows at the front of the home, and a kitchen with a breakfast bar is behind it on the left. A bathroom is in the back left corner of the home, and a bedroom is in the back right. Upstairs, the second bedroom has a large storage space on either side. 2. Log home with dining nook from Houseplans. 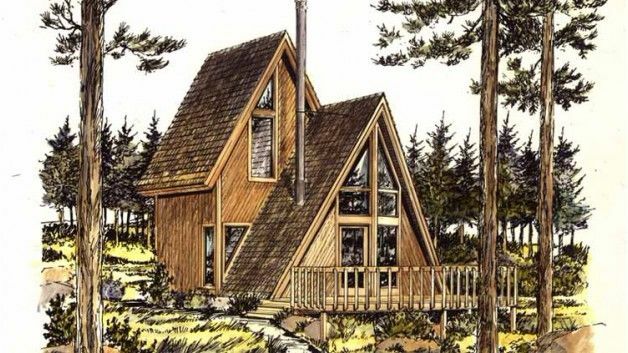 Coming in at 950 square feet (88 square meters), this cozy log cabin from Houseplans has plenty of rustic appeal. The great room at the front of the home has a large fireplace, and directly behind this is an eat-in kitchen with a dining nook. The bedroom and a bathroom with a tub are on the far left side of the home. 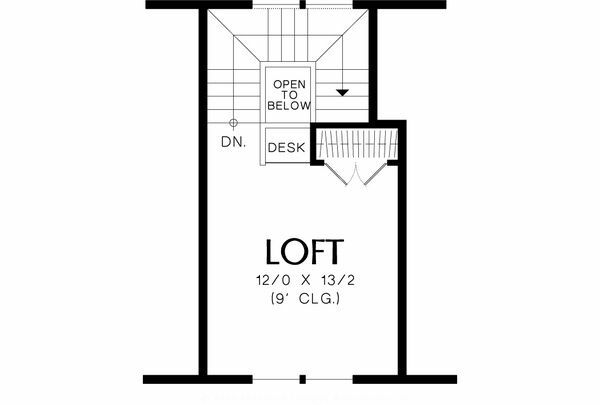 Upstairs is an additional loft space that boasts a built-in desk and a large closet. 3. Narrow design with welcoming front patio from Family Home Plans. 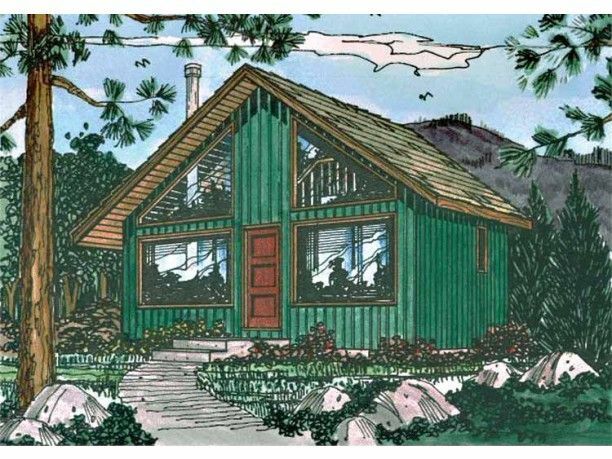 Perfectly suited for a narrow lot, this design from Family Home Plans comes in at 823 square feet (76 square meters). A large living room with a wood burning stove takes up the front portion of the home, while a C-shaped kitchen sits behind it on the left. 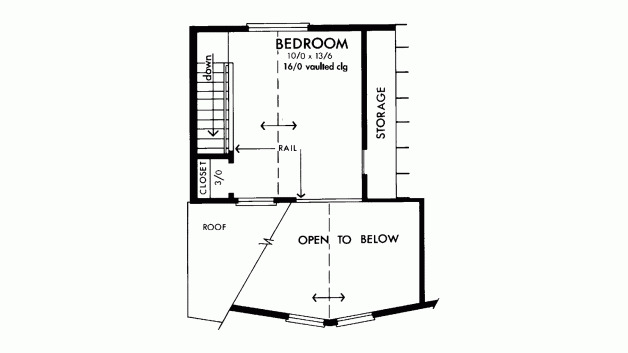 The bedroom is in the back right corner of the home, and it provides access to the bathroom on the left. 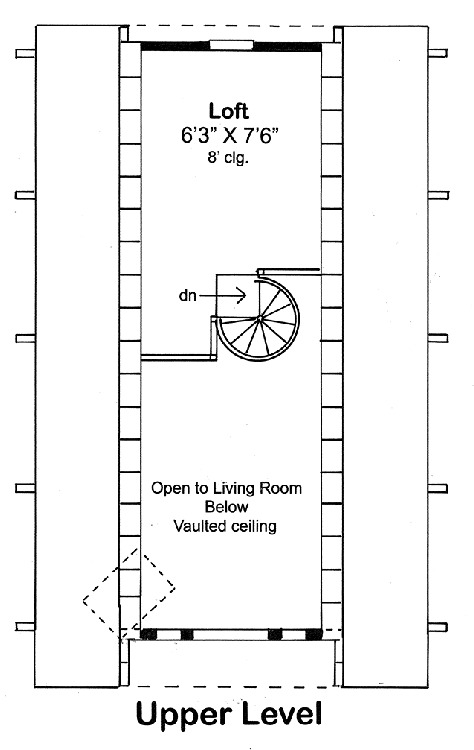 A spiral staircase leads to the loft upstairs, which is open to the living room below. 4. 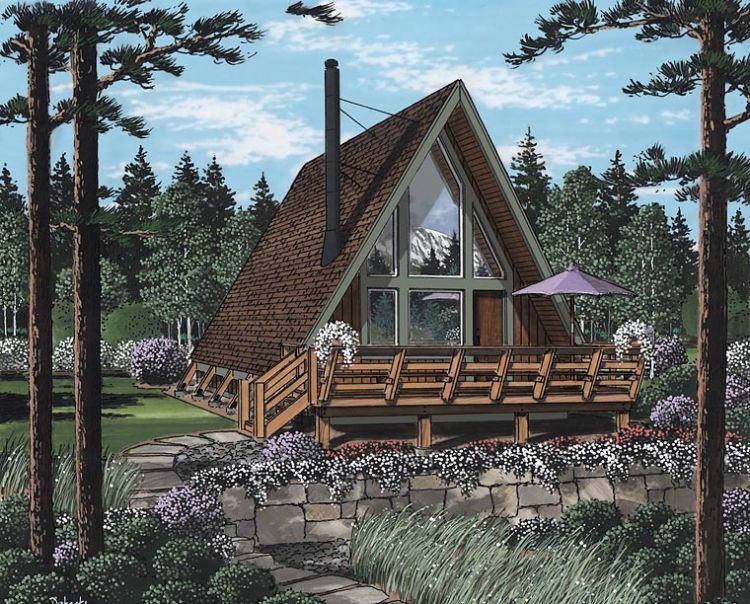 Rustic cottage from ePlans. 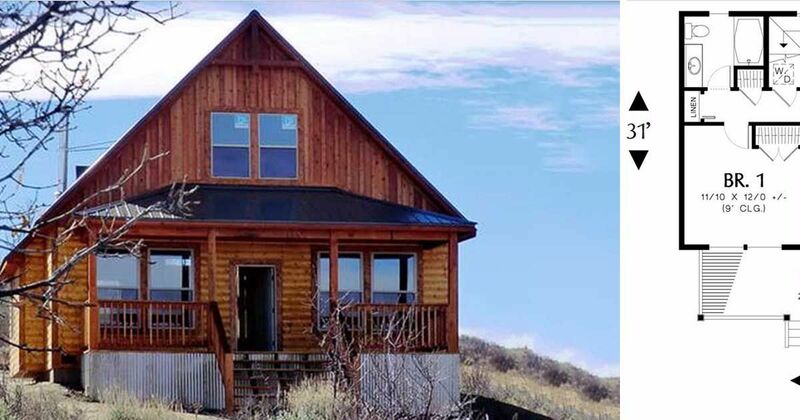 Coming in at 796 square feet (74 square meters), this home from ePlans would be great for a couple or a small family. An open concept living and dining room sits at the front of the home, while a U-shaped kitchen is behind it on the right. There is a bathroom behind the kitchen and a bedroom in the back left corner. 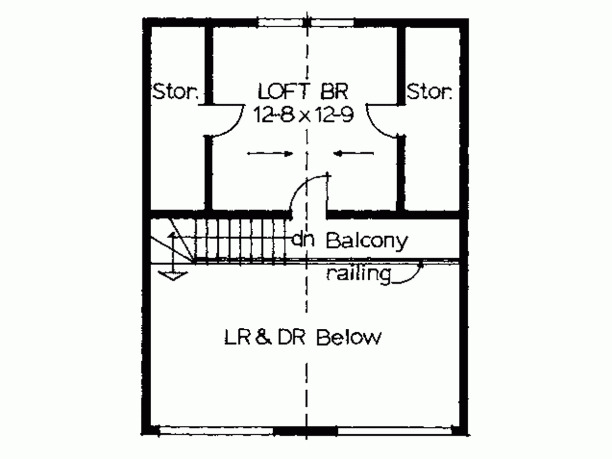 The loft space upstairs can be used for whatever you like, and it offers two large storage spaces. 5. 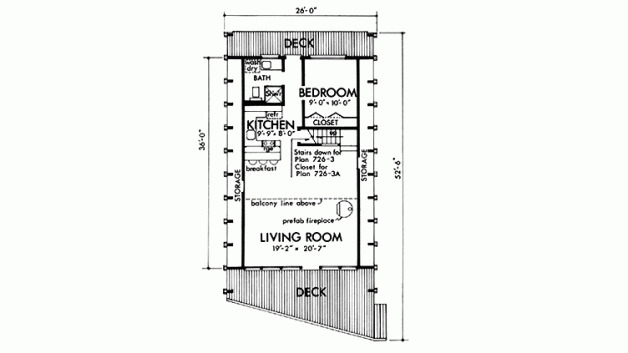 Cozy one bedroom design from Family Home Plans. 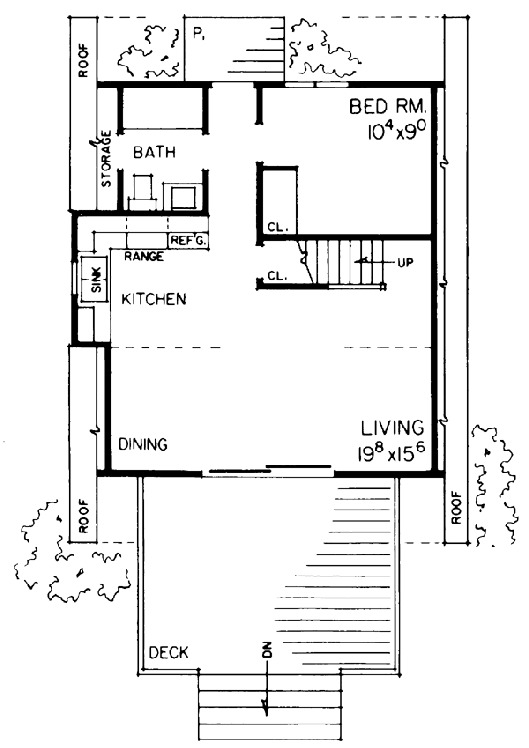 Although only 810 square feet (75 square meters), this design from Family Home Plans feels much larger. The front portion of the home is made up of an open concept living and dining room with an L-shaped kitchen in the back left. 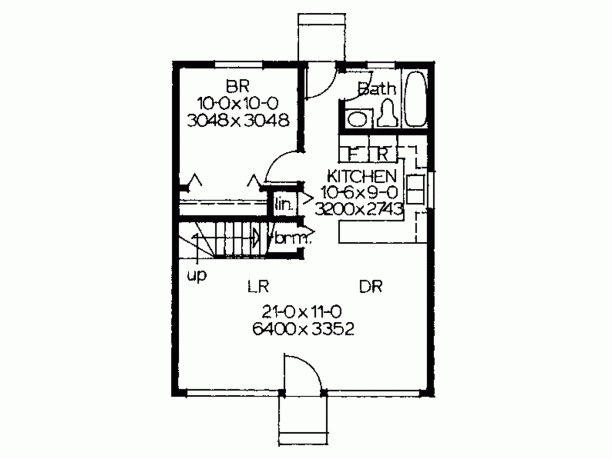 This space boasts vaulted ceilings, and the bedroom and the bathroom are in the back of the home. 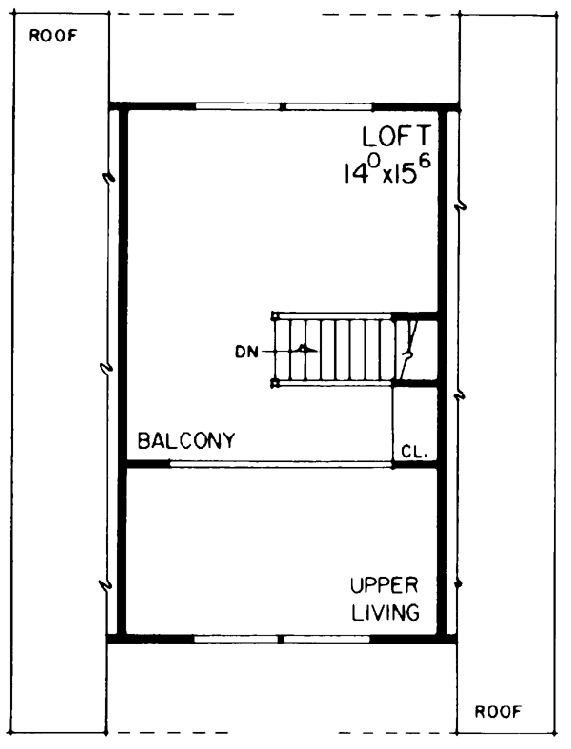 The loft upstairs looks over the main living space below, and it comes with a closet. 6. 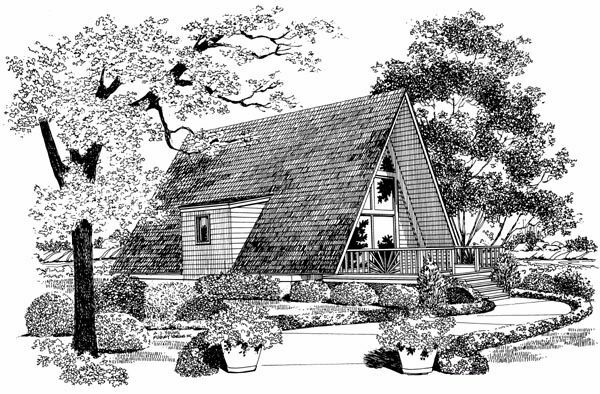 Unique design with two peaks from Floorplans. 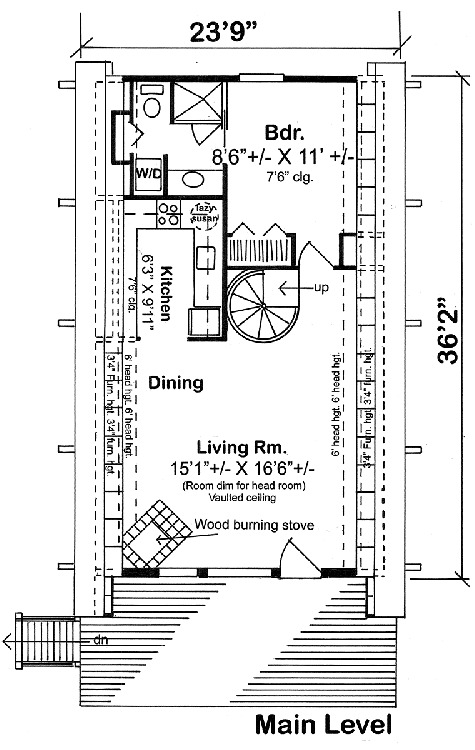 This unique design from Floorplans comes in at only 535 square feet (50 square meters). 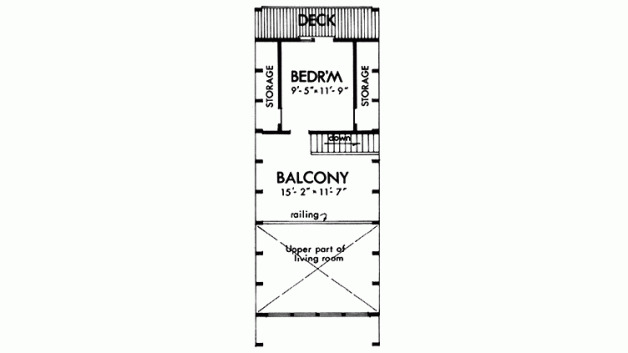 A large deck sits at the front of the home, and the living room is directly behind it inside. A bathroom with a tub is located in the back right corner of the home, and the kitchen is off to the left. The bedroom can be found on the second floor, and it features a large storage space in addition to the clothes closet.